I hope I am asking this in the right area. 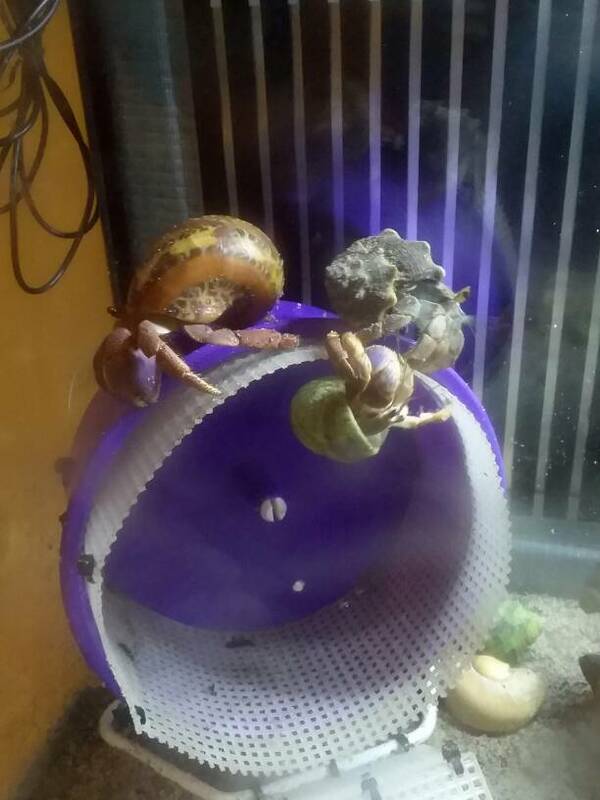 I've seen in other posts on other sites that a hamster wheel is a good toy for crabs. Is this true or to be avoided? Dande wrote: I hope I am asking this in the right area. 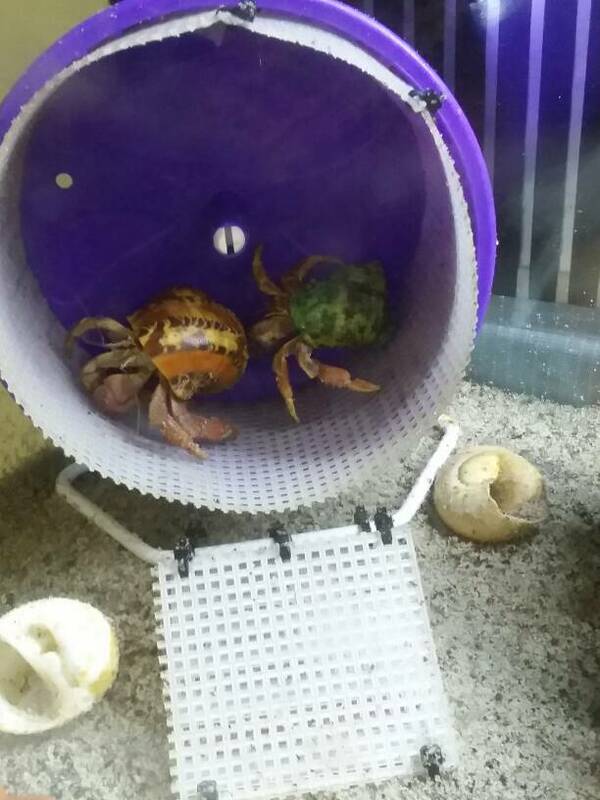 I've seen in other posts on other sites that a hamster wheel is a good toy for crabs. Is this true or to be avoided? Actually I've heard they enjoy it a fair bit. A bunch of people on this forum have one, anyone have suggestions for brands? 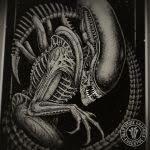 This is the one I ordered on Amazon, but they also have the small ones that sit on the substrate. You just don't want the wire mesh ones because their legs can get stuck. 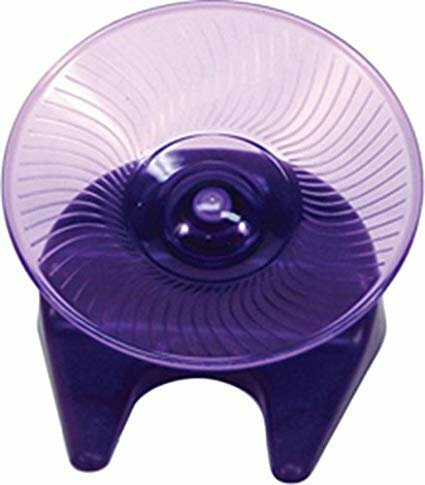 The open plastic kind that look like a bowl. Called a hamster saucer. This is the one you do not want. Their legs get stuck. Our crabs love their wheels! I also forgot to mention that you'll want to add craft mesh to the inside (zip tie it) so they can grip and climb it. I have one that loves the wheel... When he's up, he's on it constantly. I've been crabbing for 30 years and just recently we discovered that claw babies love hamster wheels. I've seen crabbies that like the spinners and we may try that next! I have two modified hamster wheels in each of my three crabitats. I highly recommend them! Hermit crabs walk miles in the wild. 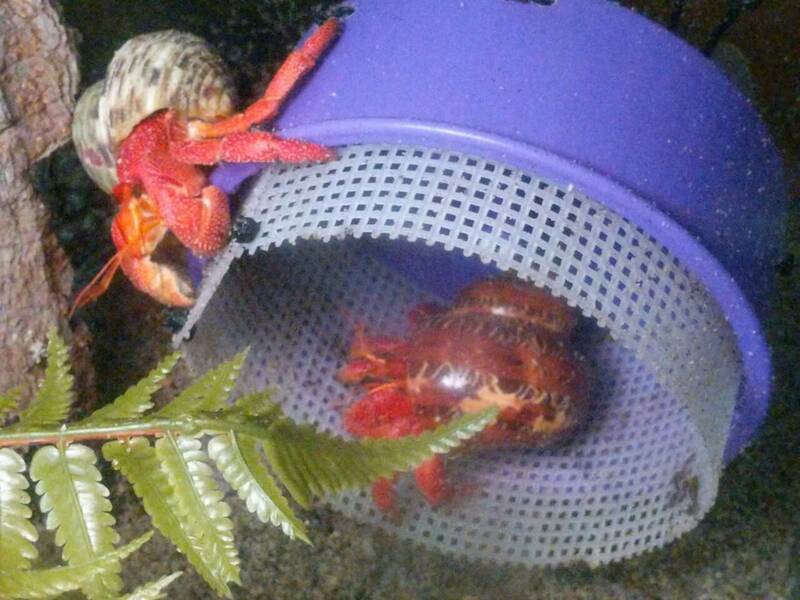 By offering them the modified hamster wheels, we are offering them the ability to walk miles in their crabitats. By adding the craft mesh it allows them to spread their legs out naturally as they walk, and the ability to grip while they are walking also. I find that they enjoy lego bricks/characters once they have been washed in dechlorinated water with a 5% bleach solution. try it sometime!